The time it allowed reading ed blogs and getting up to speed with my new colleagues on the Education Bloggers Network was well spent. There are 200 now. Just today I posted to the EBN Basecamp area explaining my ideas on configuring personal or open blog/social media networks. Most of the bloggers there are in K12 education. Some currently teach in both K12 and education courses in higher ed, most likely as adjuncts in the latter. I've been bookmarking their blogs on Diigo as I come across them. Short version: precarious faculty is my home base / hub blog for what I consider an independent information network that takes in other blogs, aggregation platforms and social media. 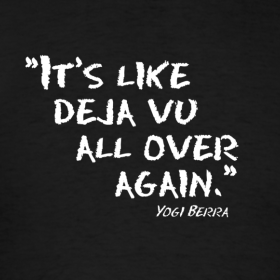 Ready for good news from the adjunctiverse? A change of pace, not about organizing or actions within or unrelenting tragedies all about. Here's one from the blogroll: Alex Kudera, author of adjunct novel, Fight for Your Long Day, has another in the works. I'm excited to announce that I signed a publishing contract for my second novel late last week. Beating Windward Press will publish Auggie's Revenge, a comic crime novel starring a trailer-park con artist, a supermarket seducer, and an adjunct instructor of philosophy searching for a life worth living. follow The Less United States of Kudera for updates on Alex's New Adjunct Novel! Check out these other recent posts on the PF blogrolls. Onz upon a time — before Reagan and Thatcher and Friedman and the Chicago School of Economics — there was something called Keynesian economics [+ a mercifully brief comparison of Chicago School and Keynesian theories] and unionization. I truly feel all of the lessons of the past have been forgotten by the present generation, who need to get out there and fight for what they deserve. Here are some movies that perhaps should be shown during adjunct week or fair labor practices week... that would make a lot of sense these days. The list is from the Skokie (IL) public library. The banksters and their ilk have had a free ride for long enough... It's NOT just adjuncts...but people who work for Walmart, etc. 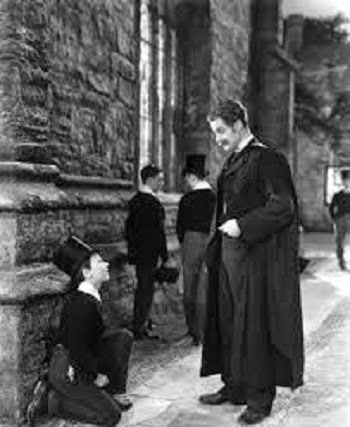 I just finished watching Ivory Tower online but should watch it again when I am not multi-tasking. It's definitely on the recommended list. Yesterday, when CNN aired the documentary, my viewing plan was watching skimpy clips and reading reviews. I don't often wish for cable or TV: don't miss the latter; never had the former so can't really miss it. 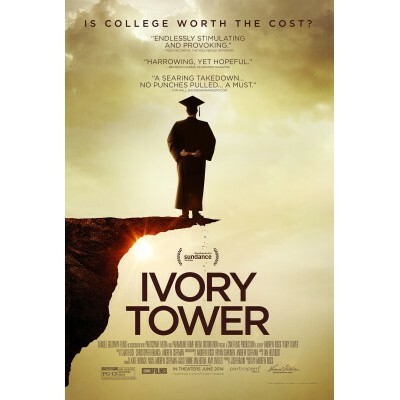 This morning David Millroy's post to the CPFA list about watching Ivory Tower sent me looking for longer clips. Lo and behold...seek and ye shall find. Sometimes. As for the rest of today (besides not taking all afternoon finishing and posting this), a PD "in the the News" on #HigherEd set up yesterday to have at the ready, awaits my attention. "News," being what it is, dates sitting in draft and will need updating ...the longer it waits, the more updating. …while waiting for quick (dare I hope?) re-cap post to make it out of drafts ~ and this afternoon's resumption of the NTEU Insecure Work Conference Livestream from Tasmania, I offer two videos from the #securework Twitter stream, one on insecure or precarious work and Verbatim Drama (Scene 3), a short dramatic performance ~ casual women academics talking about their retirement prospects. In my opinion, the first, from the Australian Workers Union (AUW), has lessons for the often troubled relationship between contingent and tenured faculty ~ and for the unions organizing them. Thursday, December 10, 2009. "Organizing: the Arts and Sciences," Rich Moser. Cross posed from New Unionism. Organizing, yes, but for what? Richard Moser presents an intriguing summary of the current state of work and unionism in the U.S.. He argues that unions have tended towards an organizational culture which is resistant to change and unaccustomed to democracy. He traces the evolution of this process, mapping it against changes in work and society. Venture Philanthropy...it's an epidemic. Reactions have been sprouting up all over as I noted in Wednesday's post. Read on for more about why. Higher ed has the Koch Bros and is not exactly Gates-free either. ALEC plagues us all as Adjunked Professor explains in "Is ACCJC’s Bumbling a Set Up?" This slides right in with the reading I've been doing to catch up at the Education Bloggers Network since joining. On Facebook and wondering how to join the Event page? 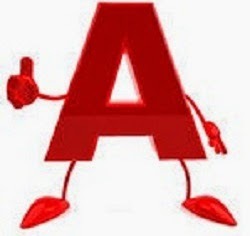 Be pro-active. Go to the Adjunct Walkout page or and leave a message or pm on one of the pages asking for an invitation. Tweet a request to @AddieJunct or @NationalAdjunct ~ or a #NAWD tagged "invite me" shout out. Already invited (to the Walkout Event page on Facebook) and accepted? 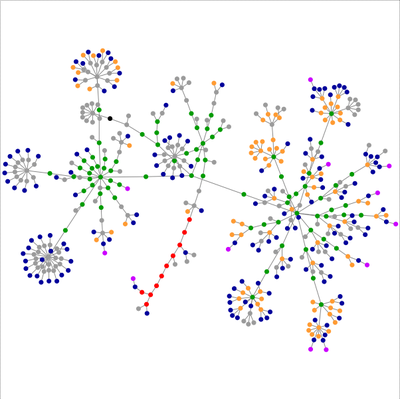 Then invite others ~ adjuncts and allies in your network. Tweet a #NAWD tag "will invite" notice. Invite friends directly from the Event page. Share the call to invite with other pages and groups. Let's do it! Event page host Debs V Eugene (dba @AddieJunct) meant to make this a public event page because a) it is a public event, and b) so we could share it with our networks and on other social media. We may not be able to change the settings, so it's up to all of us to pitch in. Not on Facebook? s'OK. There's Twitter and the National Adjunct Walkout Day discussion board too, with enough people on more than one to stay connected. No doubt a G+ page or Community and Event page are in the works too. Just keeping tagging everything. 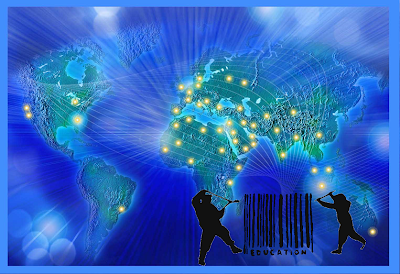 November 3: Day of Action to STOP the Corporatization of Education with campaigns in Florida, Kansas, Massachusetts and Washington D.C. that spread across nation and the internet. …with an introductory visual from Tom Tomorrow and a background article on the Powell Memo that Chomsky refers to. It wasn't easy resisting the Arne/Terminator and Jack/TheShining memes. I've been off-line (no internet, no telephone, no radio or TV) from mid-morning Thursday until 7 am this morning. Not the usual procrastination or blogging block. Today has been mostly e-mail triage and quick social media check ins with more ahead. …Rio actually. I'm collecting "road" and "walking" themed material to blog as part The Crosby/Hope Road pictures came to mind. 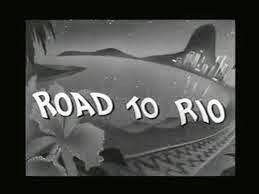 Our "adjunct road" series starts with Road to Rio (1947). A wicked Vail played by Gale Sondergard (also associated with Salt of the Earth) is the arch-villain. There will be more "Road to..." movies between now and February 25, 2015. As far as I can tell, there's no hidden adjunct allegory, cautionary tale or subtext. Just a road, as in "the road is made by walking." Road/walking poetry and other literature is another area I want to collect and post material for National Walkout Day: Kerouac, Frost, Machado, Rousseau, Benjamin (and his flâneur) I don't know about you, but from now to late February is a long, long time for me to live (and blog) on movement rhetoric, exhortations to organize, calls to build community and bridges, etc. Those roads are made by walking and connecting with other walkers, in my case, digitally. …at a price any adjunct can manage, in case I don't come up with a movie before midnight...lagniappe if I do. Neo-liberal policies and institutional changes have produced a huge and growing number of people with sufficiently common experiences to be called an emerging class. 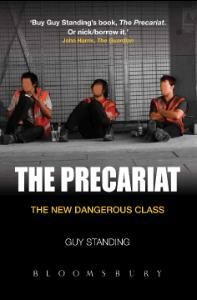 In this book Guy Standing introduces what he calls the Precariat - a growing number of people across the world living and working precariously, usually in a series of short-term jobs, without recourse to stable occupational identities or careers, stable social protection or protective regulations relevant to them. They include migrants, but also locals. Standing argues that this class of people could produce new instabilities in society. They are increasingly frustrated and dangerous because they have no voice, and hence they are vulnerable to the siren calls of extreme political parties. He outlines a new kind of good society, with more people actively involved in civil society and the precariat re-engaged. He goes on to consider one way to a new better society -- an unconditional basic income for everyone, contributed by the state, which could be topped up through earned incomes. This is a topical, and a radical book, which will appeal to a broad market concerned by the increasing problems of labour insecurity and civic disengagement. …which includes joining the Education Bloggers Network as well as adding a blog challenge to #nanowrimo and #digiwrimo (already a #wrimo surfeit). Still, since I already write at least one blog post a day, just not all on the same blog, #nablopomo seemed a trifle. The rub is that all +BlogHer daily posts have to be on one blog to qualify for the challenge. So I registered Computers, Language, Writing and will post a daily blogging recap ~ so very meta but something I'd been thinking about doing anyway. I most assuredly am not doing #AcWriMo. But back to the Education Bloggers Network, which has made a huge difference for K-12 advocacy against privatization, testing excesses and Common Core. It could be a really big deal for us as well. I'd already added a number of these K-12 bloggers to our blogroll and here are more for you to check out. I'm in. Are you? PS I'm making a list of adjunct and other higher ed bloggers who ought to be too. Email Jonathan Pelto at jonpelto@gmail.com. Let's do this. Now.